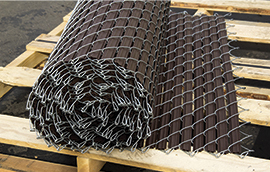 SlatLink® is a 2” chain link fence with uniquely designed slats. 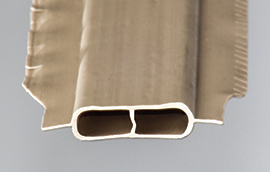 We designed SlatLink® fence incorporating FeatherLock® slats. These uniquely designed slats have a 10” self-locking section at the top of each slat that locks them tightly into position. Even though the bottom portion of the slat is thinner than the top, they still provide approximately 80 percent privacy. The slats stay put in the chain link fence due to the self-locking section, so you know they’re durable. Mix any color of slat with any color of wire. Colors are approximations. Exact representations of color on the web is difficult. Please refer to actual color samples for accurate matching. Samples available upon request.